Canine clothes, they’re cute, but are they practical? We’ve all seen them, doggie denim, canine cashmere, and even puppie pants. While these clothes may transform man’s best friend into a cute furry child, I had always wondered (and seriously doubted) that there was any real usefulness to them. Well, it turns out that I may not have been right. In a recent episode of The Urban Mutt, I met Katie, owner of Parker’s Pets, who clued me in to how some dog clothing was actually useful. Take for instance a dog jacket which Guinness tried on. Cute? Yes, but is it useful? It turns out that dog jackets keep burrs, mud, thorns, and even some insects off of a good portion of a dogs body. Insulated jackets can help keep a dog warm in the winter, and lightweight, breathable, yet waterproof jackets can be used in the summer. Ok, so I get the jackets, but doggie boots? Well, I found out that dog boots are good for indoors and out. Some, (they kind of look like deflated balloons), are excellent for dogs who live in houses with wood floors, especially if they are older, because the boots give the paws traction, prevent accidents from falling or sliding, and help older dogs to stand up. Outside, boots can help protect paws from salt, ice, thorns, glass, and other potentially painful (or dangerous) foreign objects. They also help speed up the paw-wiping ritual we all go through before coming back inside after walking through any kind of muddy or wet areas. Boots will take a little getting used to by your dog, but I was told that most pups are happily flip flopping their way around in no time flat. 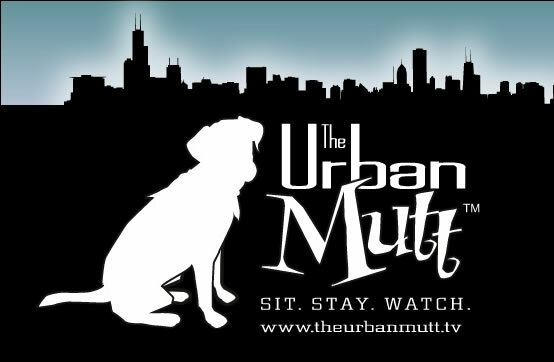 For a look at Guinness’s dog coat, check out Episode 2, with Parker’s Pets, and keep watching the episode to get a behind the scenes look at PAWS Chicago!